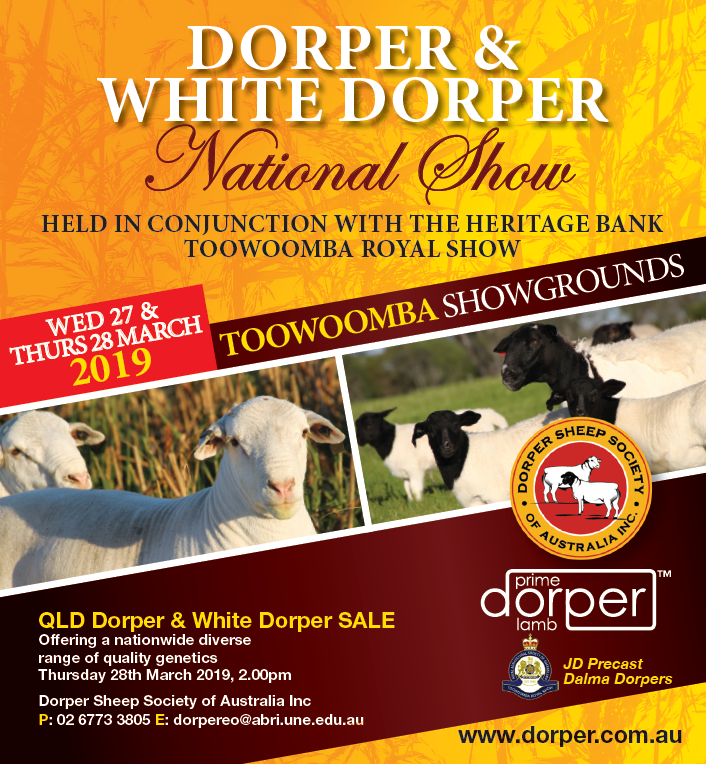 The 2019 DSSA National Show will be held in conjunction with the Heritage Bank Toowoomba Royal Show, QLD. Entries are now open. Please place your show entries through Showday Online. Click here to view the schedule. Branding and weighing of sale sheep will occur during Thursday morning or as advised on the day. Click here to view images from 2018 National Show. Sponsorship opportunities are now available, please contact Sara Winn if you are interested in becoming a sponsor.